Should Managers Care About Employee Loyalty? It doesn’t matter what kind of business you run—a startup or a conglomerate—you are not entitled to employee loyalty. You can only expect loyalty from your workforce when you give them a reason to be loyal. In other words, managers have to cultivate and nurture employee loyalty. It isn’t a given. Businesses grow and thrive when their employees choose to stay with them over the long run. Be it the higher financial gains you make or the overall better functioning teams you build, employee loyalty is a key asset. Let’s be clear: a workforce that is faithful to their employer invests more effort in their work. According to Forbes, happy employees contribute to hefty profits for your company. Studies show that loyal employees are more productive and goal-oriented than their less-satisfied counterparts. When employees are loyal to you, it usually means they are happy and treated well. There is a palpable level of employee engagement and a shared goal. They are willing to stay after hours, give 100% to come up with innovative product ideas and go the extra mile. Imagine spending money on recruiting the top talents for your business, training them and honing their skills so they become the best at what they do—only to have them join your competitors. It’s every employer’s worst nightmare come true. Talented but disloyal employees could end up becoming a part of the team of your direct competitors—offering them the full scope of their skill-set and potential that could’ve been utilized by you. If you don’t want to end up as a training ground for your rivals, give your top-performing employees reasons to stay loyal to you. Although a small level of employee turnover is to be expected, constant recruitment, selection and training endeavors become a drain on your company’s resources—a highly costly drain. Moreover, low turnover rates are more important for small businesses as they have to work with a limited pool of resources to train fresh recruits. 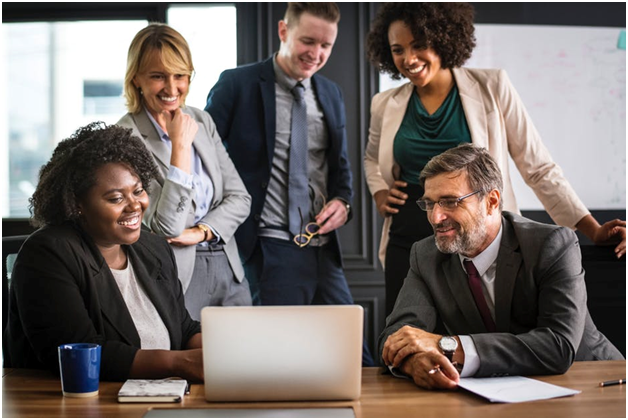 Remember that it is more cost-effective to provide financial benefits to retain your current employees than it is to hire and train new ones. This was just the tip of the iceberg. There are many ways loyal employees benefit their employers. To learn about more effective techniques to keep your workforce dedicated to you, check out professional keynote speaker Steve Gilliland’s speeches on corporate motivation and productivity. Steve is a former executive of a Fortune 500 company and one of the top motivational speakers in the world. His accomplishments include being a member of the Speaker Hall of Fame and the author of numerous bestselling books on corporate and personal motivation.